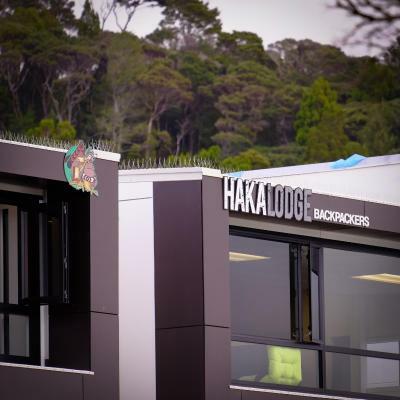 Lock in a great price for Haka Lodge Bay of Islands (Paihia) – rated 8.9 by recent guests! Lovely location, nice village, nice common areas and fantastic view from the common areas. I had a late check and was left simplw details to get in to backpackers. EVERYTHING! The staff is lovely. The place is super nice, rooms are clean and beds have curtains for extra privacy. The living room and kitchen are huge and well organised and equipped. The view from the main room onto bay is stunning! I liked the Lodge in that it was right in the middle of town with easy access to retail/restaurants and across the street from the boat cruises (less than two minutes). The room was a single room with private bath, which suited an older person or couples. The room was clean, bed very comfortable. Would definitely recommend Haka Lodge to anyone travelling on a budget in Paihia. 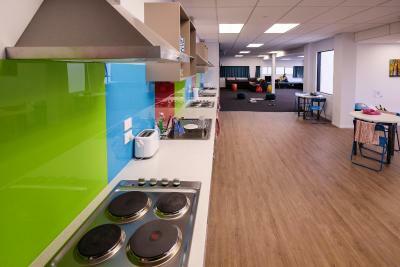 Absolutely delighted with the location, clean rooms and facilities, friendly staff, good kitchen facilities. We reserved 4 rooms and we were so happy with our stay. They say Haka Lodge is a hostel built by backpackers for backpackers, and it’s very evident by how everything is laid and the overall design of the hostel! 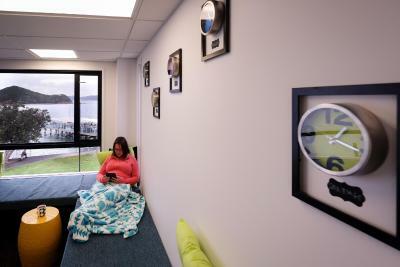 I had the most comfortable stay with a comfy bed with power sockets and a light by each bed, squeaky clean washrooms, a beautiful kitchen and living room space overlooking the gorgeous Bay of Islands, and incredibly kind and helpful staff! I would definitely stay here again in a heartbeat! Rooms and facilities were clean and modern, the 6-bed room we stayed in was exactly what we expected and none of us had any trouble sleeping. 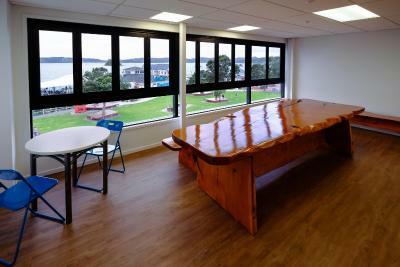 Staff and service were excellent, and the views of the beach from the common room were gorgeous! Highly recommend for travelling groups looking for a nice place to crash at night. Our private bedroom with ensuite was basic and comfortable. The twin room does not have a window that can be opened. The view from the common room was beautiful. The kitchen setup was well organised but not very clean. 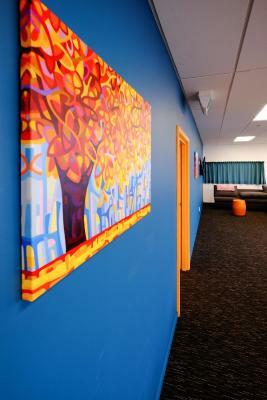 Centrally located, easy to meet people, staff was experienced with the local trips and entertainment in the area. 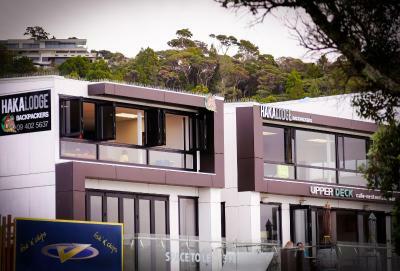 Haka Lodge Paihia features picturesque sea views and a central location, just across the road from Paihia Beach. After a day at the beach you can meet other travelers in the spacious shared lounge, or whip up a meal in the modern shared kitchen. Guests enjoy free WiFi. 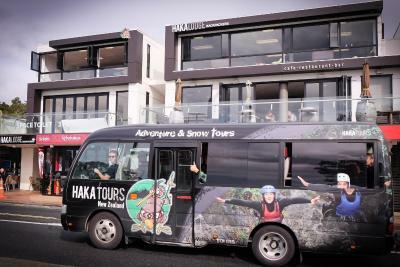 Haka Lodge Backpackers is adult only and is within 10 minutes' walk of a variety of restaurants and bars. 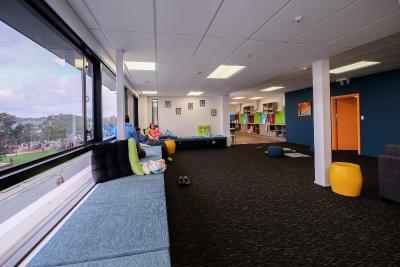 It is a 3 minutes' drive from Waitangi and 2 minutes’ walk from the ferry wharf which connects you to Russell. This is our guests' favorite part of Paihia, according to independent reviews. 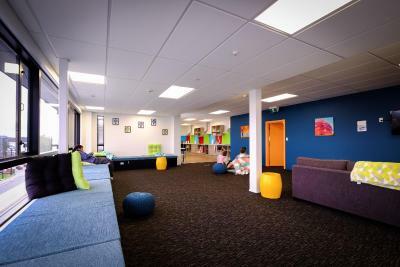 This property also has one of the top-rated locations in Paihia! Guests are happier about it compared to other properties in the area. 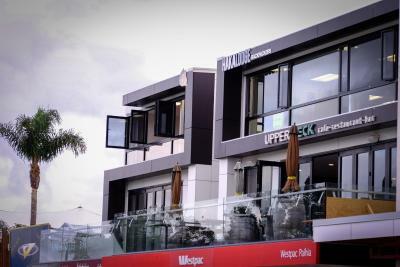 This property is also rated for the best value in Paihia! Guests are getting more for their money when compared to other properties in this city. 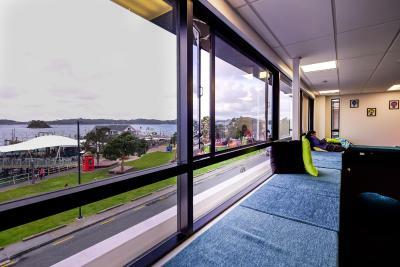 뀐 Located in the top-rated area in Paihia, this property has an excellent location score of 9.7! When would you like to stay at Haka Lodge Bay of Islands (Paihia)? 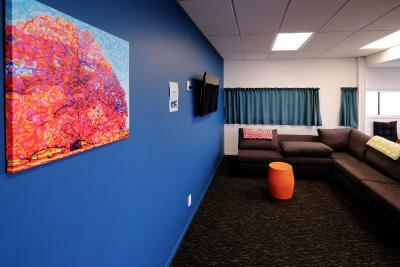 This heated room features a flat-screen TV, DVD player, seating area and bathroom. Please note that children cannot be accommodated at this property. This is an adult only property. This bed in dormitory is heated, and towels and linen are provided. This bed in dormitory is heated and towels and linen are provided. This twin room has a DVD player. 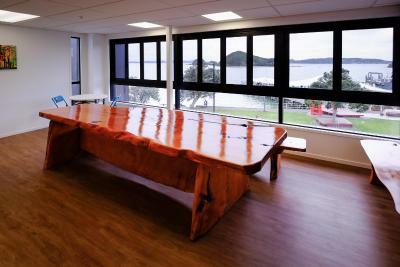 House Rules Haka Lodge Bay of Islands (Paihia) takes special requests – add in the next step! Haka Lodge Bay of Islands (Paihia) accepts these cards and reserves the right to temporarily hold an amount prior to arrival. Please note that car parking is limited and subject to availability. To reserve a space, please contact the property in advance, using the contact details found on the booking confirmation. Too little space in the dorm room, it was getting too hot, hard to sleep. Common room has an amazing view. Hostel is located in a very central place. Room was hot as it's on the second floor (all rooms are), but a fan was provided and was switched on before my arrival to keep the room as cool as possible. Not much of a vibe, most people just kept to themselves. Great location with a lovely view out over the Bay from the common room and kitchen areas. 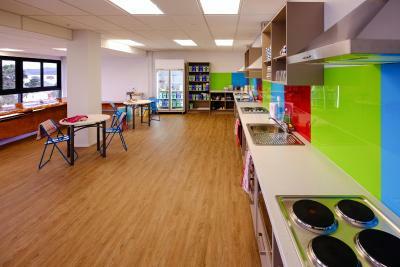 Surrounded by food options, and just a 3 minute walk to the 2 supermarkets in town if you prefer to cook. Comfy bed. Staff were helpful when selecting and booking a boat tour of the Bay of Islands. Beds were very creaky and would wake us up if the other person turned over. Really well thought out extras, lots of powerpoints, very cosy but spacious common areas with amazing views! Gorgeous view in the common areas with ample and comfortable seating. Large kitchen and dining table with all the supplies. 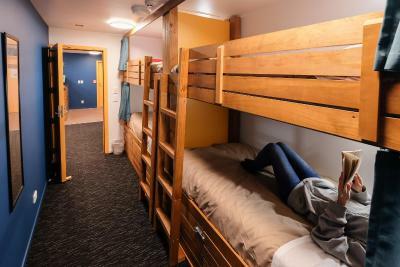 Bunks with personal lights, outlets, and curtains! Plenty of showers and toilets. Also: location, location, location--exactly where you'd want to be to access everything within a few steps. Lovely area. 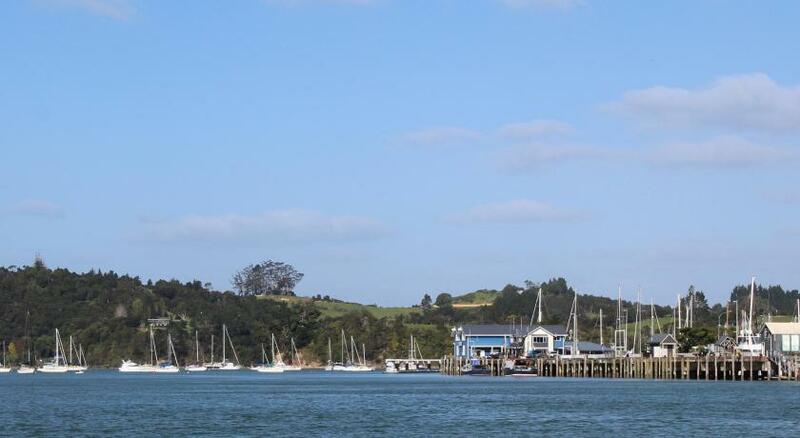 There's so much to do in Paihia. Go to the Bay of Islands tour!!!! Haka Lodge was way nicer than expected. Loved the communal sense of living. Loved the USBs!!!!! everything was the best ever seriously. Just try. Rooms are slightly small, no Aircon but this is helped by the mini usb fan they give you! 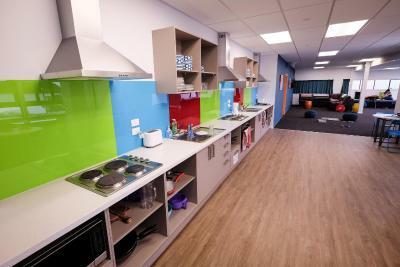 Comfy beds, curtains on the beds, a big common room with clean kitchen and a big bench. The common room alone is nice to chill in for an evening. Right near the shops and eateries as well as the beach. Be careful the bugs and fleas in room 7!! My mom got many bitten by bug for two nights! So be careful! windows view is wonderful! And have big and clean kitchen! Lack of air in the room! The door rooms have no windows and no air conditioning so they had provided two big fans for the room and one small fan for every bed. With all these operating, the noise level is so high that it is not possible to sleep. And they also do not help to cool the room down so we had to leave the door open during the night to have at least fresh air come in. But this let in more noise from the corridor. Also the wooden floor makes a lot of noise while walking. In summary, the air conditioning problem in the rooms SHOULD be solved. A tiny dorm room with NO opening windows in the middle of Summer! Not good enough!